Sponsored Content: Is It Ethical? Sponsored content is how journalism and PR come together to create one universal product to provide the public. 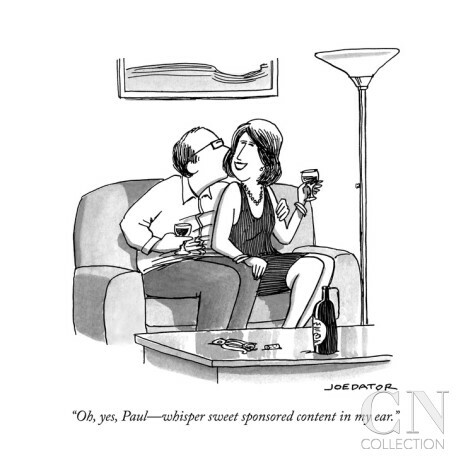 But is sponsored content ethical? Aspects of journalism go into the sponsored content, but journalists themselves shouldn't be involved in the creation. What happens if certain guidelines aren't followed? Certain organizations, such as ASME, have revamped their guidelines in order to follow along with the ever-changing additions to sponsored content and content marketing as a whole. Some guidelines, however, put magazines who have already successfully established content marketing systems, such as The New Yorker and Forbes, in tough positions. One of the guidelines established by ASME would require magazines to make the font used for their sponsored content different than the font of editorial content. From a neutral standpoint, this idea would allow magazines and publications to separate themselves from the public relations side from the editorial side, but the idea itself would prove to be detrimental to the reader. 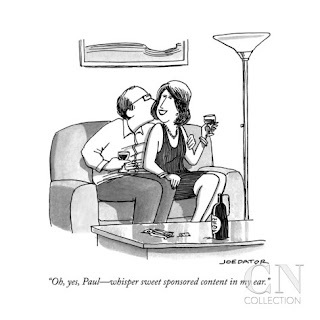 So, the question is: what are the ethical guidelines behind using sponsored content in publications? All of these ethical guidelines can be applied to the editorial side of the news industry as well. As journalists, we're required to remain transparent. This concept of transparency carries over in the five Edelman guidelines, with the concept of disclosure. Editorials are required to disclose the fact that the post is sponsored content. If they don't, the line between sponsored content and editorial content will become blurred, and the reader can easily be deceived. Jeff Sonderman of Poynter asks journalists, or content marketers, to ask one simple question: would I consider running this content if it wasn't sponsored? If it isn't relevant to the reader as an editorial piece, why would it be relevant as an advertisement? Sponsored content needs to have value on top of providing the public with a service. A lot of arguments in support of sponsored content state that in order to be effective, sponsored content needs to, in a sense, mimic almost every aspect of an editorial, while also abiding by a modified set of rules. I would argue that as long as the sponsored content is being created by a department separate from the editorial side, but away from being privately written by a public relations official, it's okay. By staying with this separation aspect, journalism is kept safe from a complete takeover. There may be no independence when writing these sponsored posts, but publications are supposed to make up for that flaw, with transparency. Sponsored content treads along a fine line, but with the cooperation between both sides of the journalistic spectrum, it can remain on the ethical side of things while still contributing to the public need for information. Technology- Is It Enhancing or Impairing? Can We Trust Social Media? Will Sponsored Content Take Over Journalism?